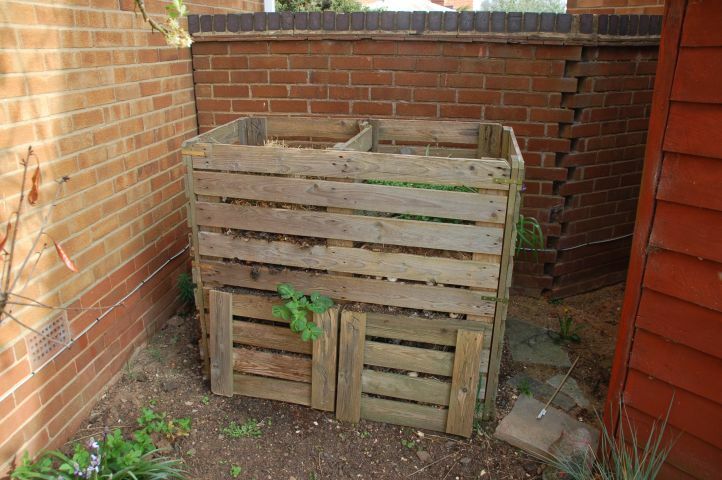 Our Compost Box is a homemade job, made using 4 pallets from work. 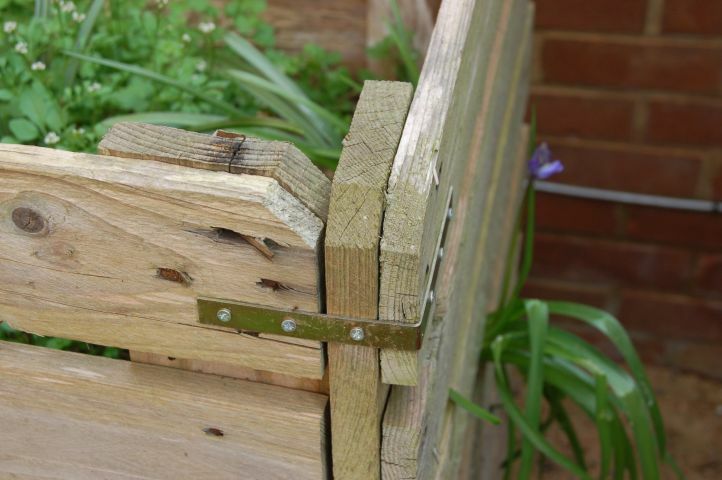 It has two compartments with doors at the bottom to enable the bins to be emptied when ready. This plan view gives an idea as to how the box is made up. 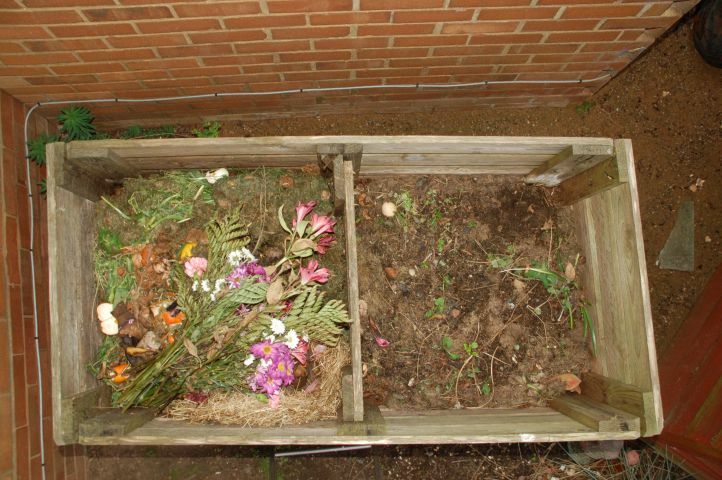 The front and back are the the tops of pallets, the blocks being removed from the sides and middle. The two outer sides are just over half of a pallet top, cut so that the side and middle cross piece keep the "panel" in tact. The middle partition is made from one of the discarded panel halves using the the crossing member from the other discarded half. The only expense was the purchase of some angle plates to hold the thing together along with some screws. I used 3 plates on each edge. 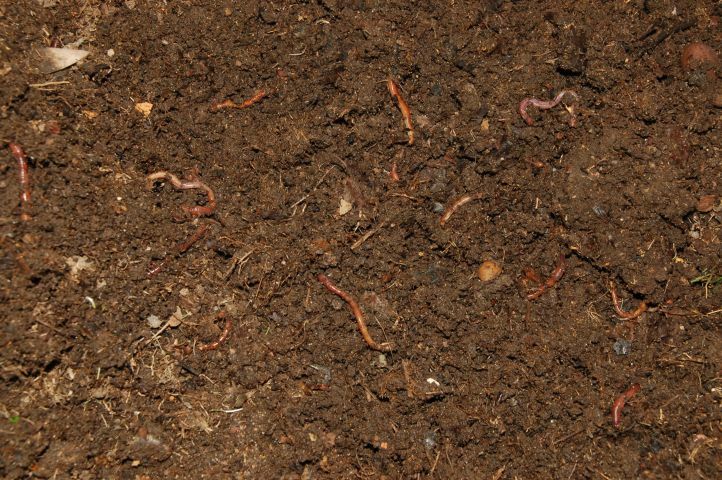 The right hand side of the compost box with the top layer scrapped away to reveal a nice healthy presence of worms. 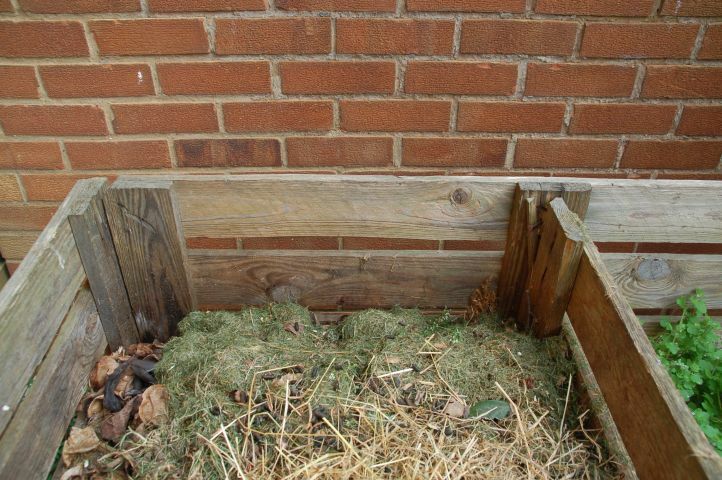 This portion of the compost bin was last added to about 18 months ago, and was started in the summer of 2005.